I wish I was in a position to just travel the World, but that just isn’t going to happen… right now that is. With all the factors of our daily lives, crazy schedules and let’s not forget the money factor, we can’t always travel as we’d like. But one thing that I hope most of us can do is a day trip every now and then. If you’re in the Atlanta area and not quite sure where to head to or what to do in a day, then you’re in luck! 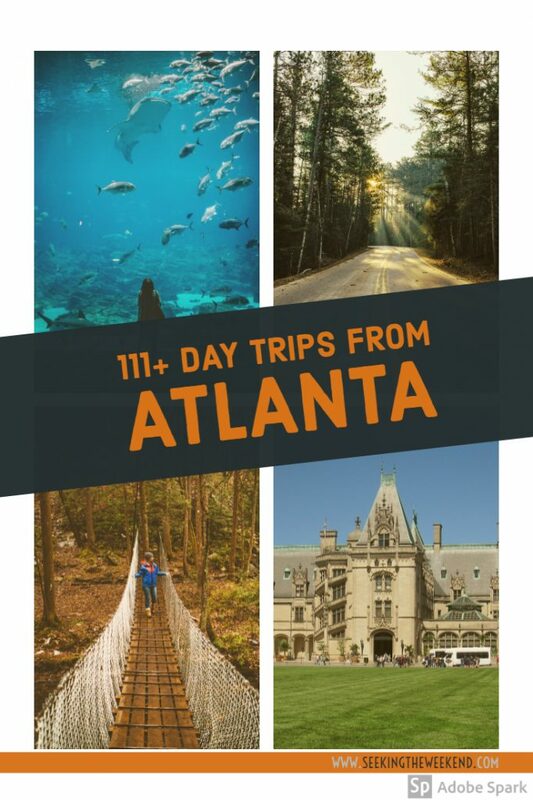 I complied a list of 111 day trips from Atlanta, all ranging between a 0-3 hour drive! Hope it helps you! I know I reference it time and time again! Theme Parks, Water Parks & Family Fun! Consolidated Gold Mine ** Note: we’ve been to this one a LOVED it! Take a Hike! Trails, Mountains, and Waterfalls, Oh My! Cities to See in a Day! Up High- Zip Line and Rock Climb! !